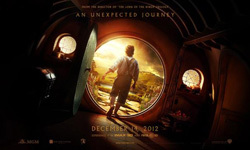 A new TV spot from Peter Jackson’s upcoming The Hobbit: An Unexpected Journey is now online and you can check it out in the player below. This one features narration straight out of the original J.R.R. Tolkien novel.